It doesn’t matter how safely you drive, you are bound to get into an accident at some point or another. However, what can be really frustrating is when you are not the one to blame. You may already know that it isn’t all that easy to make your case to the police or your insurance company if you don’t have proof to back up your statement. If you are looking for a dash cam camera, though, you have already learned of the advantages of having one. Of course, you may still be stuck with the small issue of which camera you should actually get. Once you have skimmed through this guide, you will see just how much easier it is to choose the best car dash cameras for you. So, without any more delay, here is everything you need to know regarding how to choose one as well as what your best options are. How Large Is the Camera? What Kind of Resolution Do You Need? 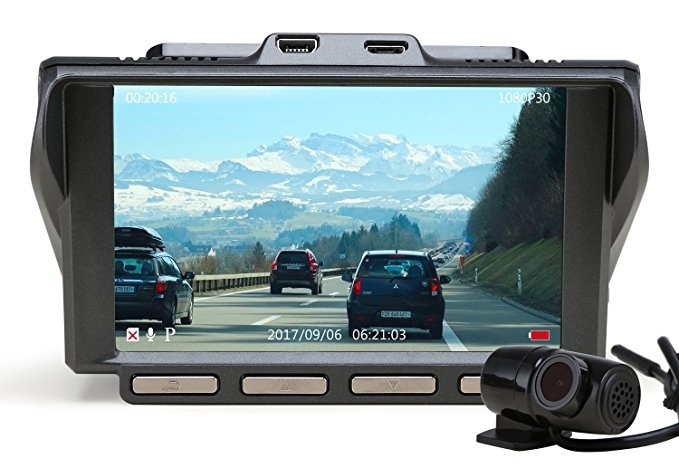 Good Quality Video: now, the footage captured by your dash cam will not really mean much if you can’t make out what is happening. This is why you should look for cameras that offer up high-quality resolution, ensuring that you will be able to see every detail. 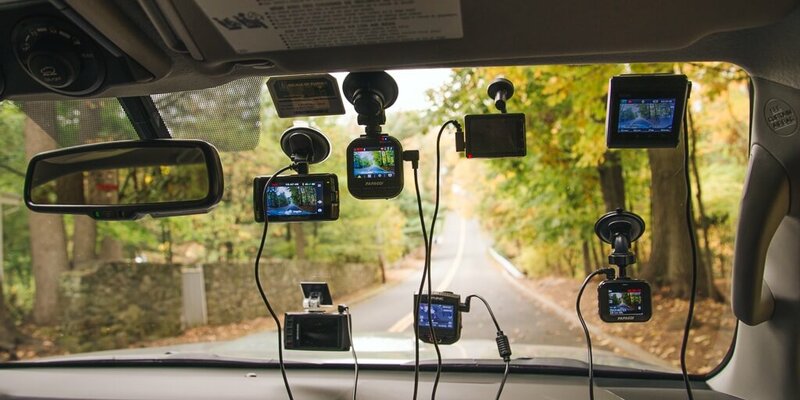 Looping Feature: since you drive around quite so much, your dash cam is going to be recording a lot of footage. Now, having to delete this footage every so often can get quite tiring and you probably won’t even remember to do it. A dash cam that has a looping feature, though, will automatically record over old video. Emergency Record Feature: most of the footage that your camera records will prove to be of little use. What you really need to hold onto is the footage of an accident. This is why you should consider dash cameras that have a G-sensor so that accident footage is saved and will not be looped over. 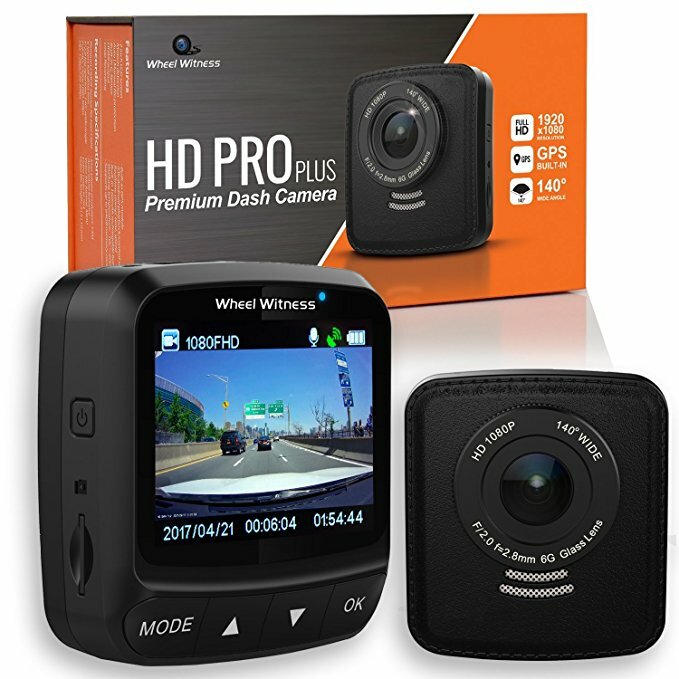 Why we like it: The WheelWitness HD PRO PLUS dash cam is easy to setup, simple to use, and is great for connecting the camera with other mobile devices. There is no need to worry about the resolution with this particular camera as there are lots of options to choose from. You get to select one up to 1080p. The great thing about this that you get to decide whether you want an ultra-clear video for insurance purposes or if you want longer recording times by choosing a lower resolution. This dash cam is equipped with a Sony Exmor IMX322 CMOS Sensor coupled with a real 6-Glass precision lens. So, not only do you get to enjoy clear daytime footage, you can expect the same advantage at nighttime too. This means that you can easily review anything recorded at night with confidence. The WheelWitness dash cam does have a looping feature. This allows you to choose when the video will get recorded over. The intervals available are 1 minute, 3 minutes, 5 minutes, or 10 minutes. You can also choose to turn this option off. Now, this dash cam has a G-sensor which automatically detects an unusual or particularly hard collision. The camera then immediately locks this footage, preventing the camera from recording over it. This means that you can use the footage as evidence for the police or your insurance company. There are a lot of features that make this camera rather easy to use. For starters, it has GPS features which allow you to keep track of the speed and location of the car. It is also equipped with Wi-Fi so that you can view the video on your phone and even send it and save it online for safekeeping. This camera even has an option where you can zoom while the camera is recording, making it easier for you to capture license plates. The only unfortunate thing is that the menu isn’t very intuitive, ensuring that you will take some time to learn how to use it. 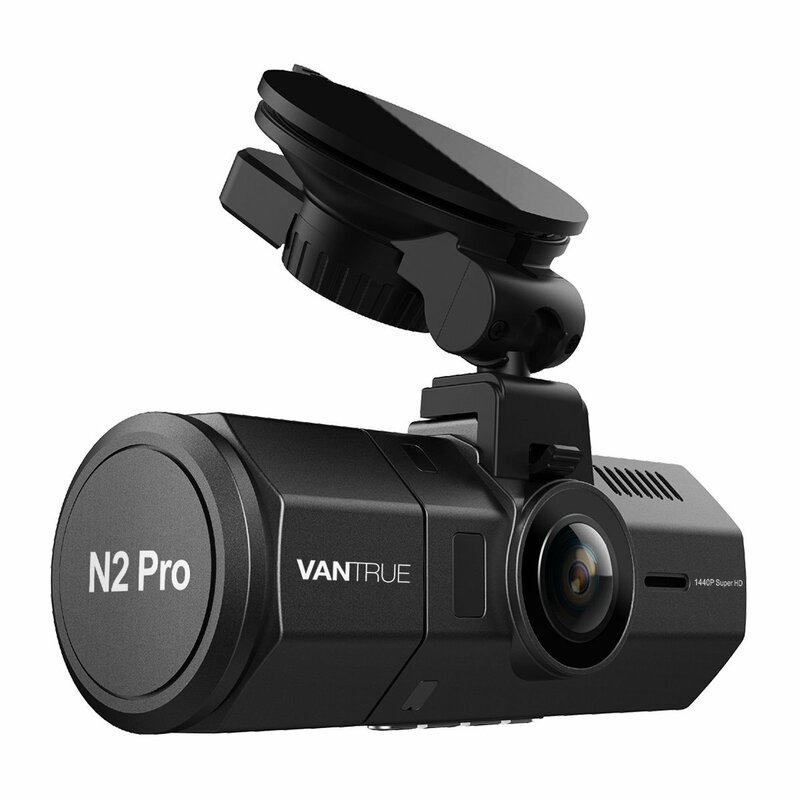 Why we like it: The VANTRUE N3 Pro Uber Dual dash cam is a top-notch camera which also offers the additional advantage of a dual view. 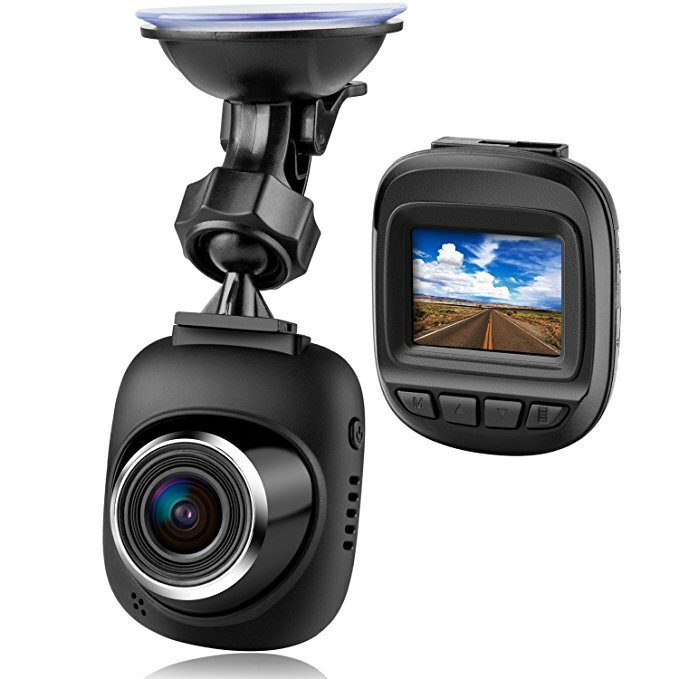 If you are looking for clear and easy to watch video, then this is the dash cam for you. It offers resolution up to 1080p. This means that you will even be able to see the license plates on cars in front of you. So, when it comes to proving your case, you really won’t have a hard time. The night vision, however, is what really shines on this dash cam. This camera has an F1.8 6-glass lens front facing cam and unique HDR video system which means that it is able to automatically balance the light and the dark portions of the video. This ensures that even your nighttime video is clear. Not only does this dash camera have a looping feature, it also provides seamless recording. This means that you get to view uninterrupted video, without pause. The looping feature kicks in automatically when the SD card is full so you don’t have to bother handling it yourself. The camera is equipped with a G-sensor so that in the event of a strong shake or collision, your camera will lock that particular footage. This will ensure that the video is not written over and can be used for insurance purposes. There are a lot of features that make this dash cam user-friendly. For one thing, the dual camera option means that you can record what is going on inside the cabin as well as on the road. It also has an automatic parking mode that ensures that the camera will start automatically recording, whenever there is movement in front of the car. While the camera itself is really great, the mounting system can be quite unreliable, with the support system falling apart after a short time. Why we like it: The Rexing V1 Car dash cam is an easy-to-use product that allows you to record crystal clear video. The daytime resolution on this dash camera is excellent. You will be able to record video in up to 1080p format. So, all thanks to the Sony Exmor IMX323 image sensor you can ensure that every important detail will be captured and saved. The only real issue with this dash cam is that the night vision doesn’t really hold up to its claims. While you do get the same resolution as in the daytime, the images that are picked up aren’t as distinct. So, you may find it a bit more difficult to identify cars, let alone license plates. There is a variety of recording segments for you to choose from. You can select that the dash cam record in either three minute, five minute, or ten-minute segments. When the memory card is full, then the camera will automatically re-write over the older footage. Of course, the exception to this is in the event of an accident. The dash came has a G-sensor that is activated whenever it registers a collision. This way, any footage recorded at this time will immediately be locked so that nothing else can be filmed over it. 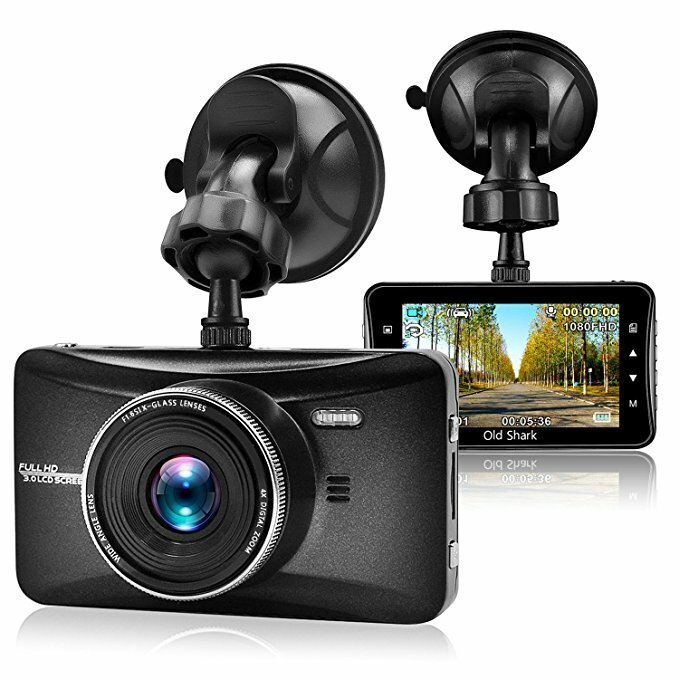 One of the features that stand out about this dash cam is that it works well in all climates. So, even if you live in an area where the temperature can get quite high, you can have peace of mind knowing that the camera will continue to function well. What’s also great is that it is really easy to use. So, you don’t have to spend a whole lot of time memorizing your manual and trying to figure out how things work. Why we like it: The Pruveeo F5 dash cam is an affordable, easy-to-use option that gives a similar quality as more expensive models. With this dash cam, you have the option of either 720p or 1080p. However, you should be warned that not every unit already has 1080p downloaded so in certain instances you may need to upgrade your firmware and get this feature enabled. The only real downside with this is that there is a little more hassle involved. The night vision on this camera is also quite good. This is because you have the option of either brightening or darkening the recording, depending on the time of day. As a result, you can enhance the image so that it is picking up details more clearly at night. You can choose the loop intervals, depending on the quality of video that you choose and the storage space available on your SD card. Of course, once the memory card is full, the new video will begin to overwrite the existing ones. If you want you can choose to manually lock certain segments so that they won’t be recorded over. Of course, you can also ensure that recordings are automatically locked whenever a collision occurs. If the G-sensor is on during an impact, then the video will serve as an emergency file and will not get erased until you choose to do it yourself. There are a few user-friendly features with this dash cam that really take it up a notch. To start with, it allows you to connect with a variety of digital devices via Wi-Fi. The camera is compatible with both iOS and Android systems. This way, you can download and view HD video from the comfort of your phone or tablet. Where this dash cam fails, however, is with the product quality. These cameras aren’t very durable and if not used carefully, they may fall apart. 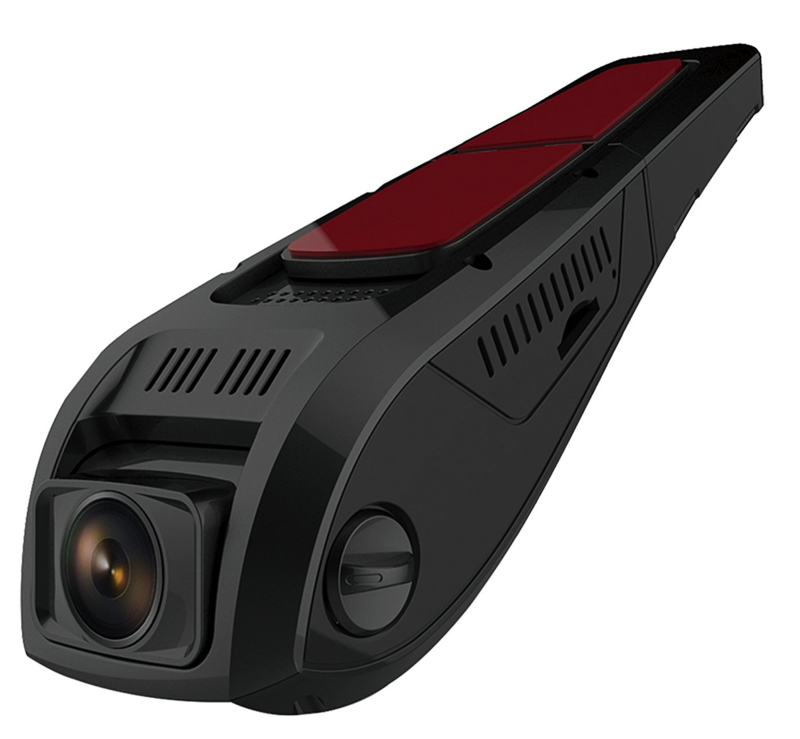 Why we like it: The Z-EDGE S4 Dual dash cam offers up a whole host of features, including allowing you to see both front and rear views. You can capture footage with resolution up to 1080p. Thanks to the clarity offered by this camera you can see a number of details, including license plates. To top this off, you also can take pictures up to 12 megapixels. So, when it comes to quality, you really are spoilt for choice. As for the night vision, this dash cam is equipped with a Sony image sensor. So, it is able to adjust the recording whenever you are in a low light environment. As a result, the footage that you see at night will be just as clear as in the day. If you are someone who tends to forget to turn their camera on and off, then this is a great model for you. See, it comes on automatically whenever the ignition comes and then goes off when the ignition is turned off. As for the loop video, the camera records the footage seamlessly, ensuring that there are no gaps. Also, when the SD card is full, the older recordings get recorded over. You can, however, choose to manually prevent this from happening by locking certain videos. This will remain even after the other footage has been deleted. Of course, this does happen automatically as well. The camera has a G-sensor that is activated during a collision, immediately locking the pertinent footage. One of the features that make this such a good model to use is because it has a front and rear option. This way, you are protected from both sides. This does mean, however, that there is also a lot more installation involved so you may need a little bit of expertise in this areas. Once you do set up the system, though, you will find that it is really easy for you to use thanks to the interactive menu. 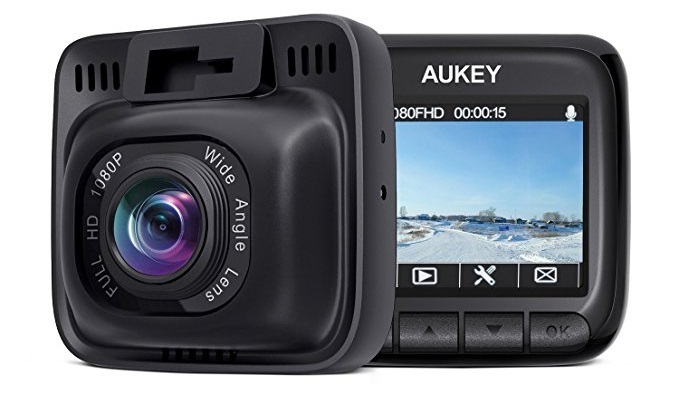 Why we like it: The AUKEY dash cam is affordable and offers up a good resolution for the price, ensuring that you only capture quality footage. This camera has a Sony Exmor IM323 Sensor which captures everything in HD quality. With this dash camera, you can record video in up to 1080p. This means that it will pick up on every little detail, ensuring that the footage is clear and complete. What’s more, the nighttime vision is just as good. This is because the camera contains a large F/1.8 aperture and HDR which work to improve the quality of the recording in lowlight conditions. So, you will be able to make out details like license plates just as clearly at night. In the loop record mode, the camera records in ten-minute segments continuously. When the memory card is full, the old video is automatically updated, ensuring that there is plenty of room for new footage to be recorded. There is also an emergency recording feature in this camera. It isn’t just activated by collisions, any sudden movements can cause the video to be automatically saved. So, if you were to take a sharp turn or to stop suddenly, that video will be saved so that you can view it later on. 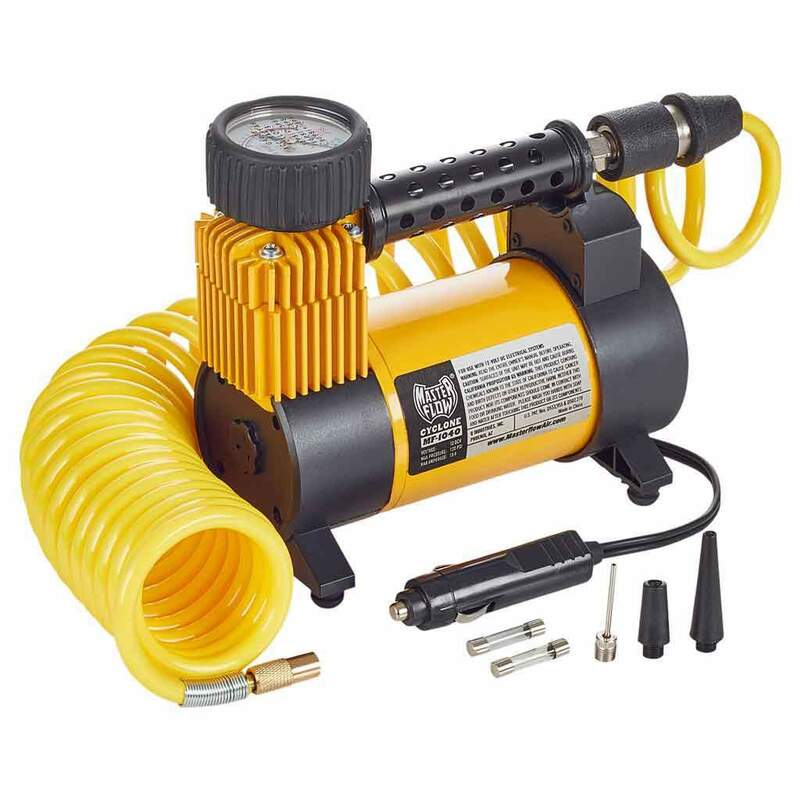 One of the features that make this model such an excellent one is that it has been built to endure all kinds of extreme temperatures. So, whether you live somewhere where it is very cold or very warm, you can be quite sure that your dash cam will survive. Unfortunately, while the camera is quite hardy, the same can’t be said for the mounting system. This has a tendency to fall apart if you aren’t careful. Why we like it: The YI dashboard camera produces clear and detailed footage and continues to be a reliable option for drivers. You can enjoy up to 1080p footage with this camera. This allows you to clearly capture the footage in front of you and for it to be clear enough to hold up for insurance purposes. This feature is compounded by the fact that you can get an extra-wide field of view, allowing you to see even more lanes. This quality holds stead for the night vision as well. The camera automatically adjusts to low lighting conditions so that when you play the footage back, you can see the same level of clarity and details like during the day. The looping feature on this camera ties directly into the resolution that you choose. So, for the most part, the memory card will refresh itself in time frames dependent on the quality that you choose. However, once the card is full, the new video will automatically be written over the old. The emergency video lock is connected to the G-sensor. So, when the camera notices that there has been a sudden movement or collision, it will automatically lock that video. The dash cam won’t just save and store just the video of the collision but also the moments shortly afterward. For the most part, this is a camera that is quite easy to use. The settings are clearly labeled, making them quite intuitive, even if you aren’t familiar with that particular system. Where the dash cam is vulnerable, however, is in extreme conditions. It doesn’t work so well when it is very cold or warm, so if you live in such an area, the system may be prone to malfunctioning. Why we like it: The Fliiners dash cam is a good-priced camera that ensures you will be able to capture every detail in high-quality video. This dash cam allows you to record in up to 1080p. Thanks to this, you can be quite certain that whatever the camera picks up will be revealed in exquisite detail. So, it is an excellent choice for anyone looking for a dash cam for insurance purposes. The only unfortunate thing is that to be able to really appreciate the resolution you need to transfer the files to your laptop first. Of course, this camera doesn’t just perform well during the daytime, it is just as reliable at night. The night vision feature on this model means that all of the details will be just as clear and therefore, can be used to your advantage. You get to decide how the footage is stored on your camera. Therefore, you can select whether it is stored in one minute, three minute, or five-minute segments. However, regardless of what you choose, you can be quite sure that the camera will only save the newest footage. This is because the older recordings are automatically erased when the memory card is full. There is also a G-sensor on this dash cam that can detect when a collision has occurred. When this happens, it automatically saves and locks the footage from that accident. This prevents the files from being overwritten. The only thing that really stops this dash camera from being user-friendly is that the instructions are quite poor. As a result, it can be quite difficult to figure out how to work the more complicated features on this camera. So, it may take you a while to learn how to set up the camera. 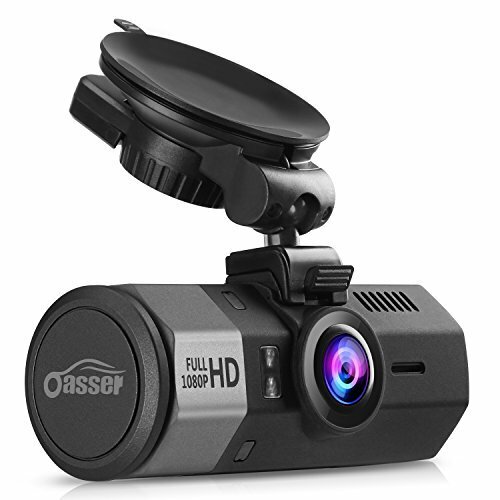 Why we like it: The Oasser Car dash cam is affordable, reliable, and offers you all the features that you need to monitor your driving as well as that of others. You can set your preferred resolution up to 1080p, ensuring that you get to enjoy video of the highest quality. Not only does the dash cam produce clear video, it also allows you to pick out details in the video. 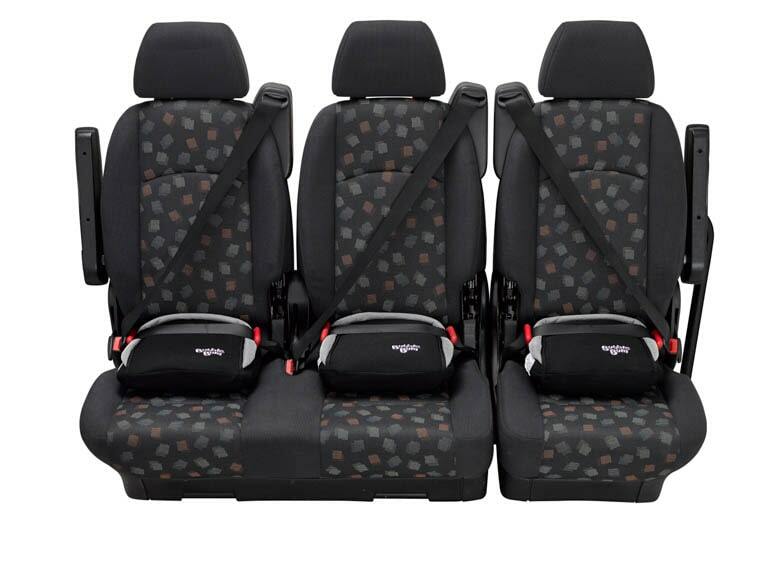 This comes in quite handy if you want to use the recordings as evidence in case of an accident. The night vision on this camera is actually really good. This is because the camera can adjust to record the surrounding environment in a lower light. As a result, you will be able to see just as well at night as you will during the day. With this dash cam, you get to choose between four loop modes, depending on what is most suitable for you. At the same time, the camera also maintains its memory quite well. Whenever the card is full, the older footage is erased and then replaced by the current recordings. There is a built-in G-sensor that responds to shocks or collisions. In this event, the video recorded during this period will be considered locked. So, any future recordings will not have any effect on this existing footage. There are a few things that make this dash camera quite useful. 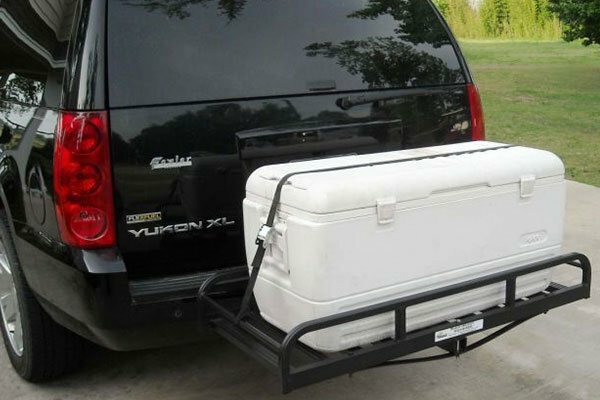 For starters, it has parking and motion detection. So, even when it detects vibrations around the car, the camera will switch on. At the same time, it will turn off if there is no motion detected so that you can save power. The only real issue with this camera is that the mounting system isn’t that great and doesn’t last very long. Also, the instruction manual is poor which can mean that there is a learning curve involved when you first start to use the camera. Why we like it: The Old Shark dash cam offers you reliable quality and footage at a good price, making it a nice investment for any driver. 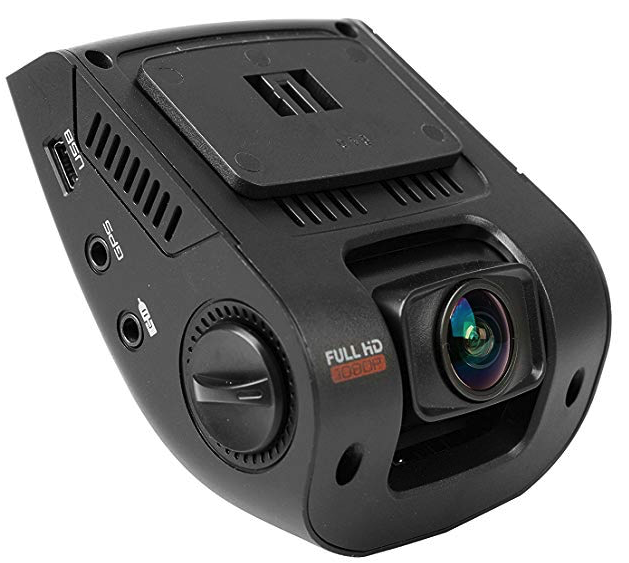 There is no denying that this car dash cam offers some pretty decent resolution – you can select up to 1080p. While the footage may not be as bright as with some other models, you can be guaranteed that the clarity is top-notch. So, if you are hoping to make out various details, you will be able to. The camera is equipped with night vision which enables it to produce an image that has been balanced out for low light. As a result, you will be able to notice that the footage produced at night is very similar to the one that you will see at daytime. The looping feature on this camera allows you to capture video until the memory card is full. At this point, the camera will let the newer footage be recorded over the previous footage so that you will always have the most current images available to you. This, of course, doesn’t apply to the emergency video settings in the camera. When the camera detects a collision, it will cause the relevant footage to be locked and stored away. This way, there is no chance that this important footage will be written over. While this camera is easy enough to use, there are certain aspects of it that make it less user-friendly. To start with, the buttons on this camera are incredibly small. So, you may find it a bit difficult to use them and may end up pressing the wrong buttons. The other gripe is the fact that if you want to remove or put up the dash camera, you have to physically screw it in or out. This takes time and can be quite frustrating to do. Now, most people would assume that a bigger camera is better. This is due to the LCD screen attached to the device. After all, a larger screen means that you will be able to view the footage more easily. However, this isn’t the case at all. In fact, in most ways, you will actually be better off with a smaller camera. This is because you will need to place the dash camera on your windscreen. As a result, it needs to take up the minimum amount of space possible. So a dash cam that is large and bulky will simply obstruct your view. At the same time, you may want to avoid overly small dash cams if you find them difficult to use. Some people don’t appreciate the smaller buttons and menus that come along with mini cams as they can be rather tricky. It has already been established that video resolution is of the utmost importance here. This is especially if you are using the camera for insurance purposes. That does beg the question, though, just how high should the resolution be? Well, it is usually a good idea to opt for a model that has around 1080p, even though you may not use it. This is typically a sign that the camera is a good quality one. However, you should know that this HD resolution can differ from camera to camera. Most people prefer to record in 720p most of the time. This is because it creates a nice balance for the user. On the one hand, you get decent quality while also ensuring that the footage doesn’t take up too much space on the memory card. Remember, high-quality video requires more memory. This means that you will be able to record less before the footage is wiped out and replaced. Now, there are a number of dash cams that claim to use infrared lights to make the camera more adept at capturing nighttime images. In most instances, these claims aren’t true. This is why you will often need to examine the nighttime quality for yourself. Check if you can see details clearly in case you need to use this footage as evidence after an accident. This brings us to the looping feature. Now, fortunately, most of the dash cams these days will offer you this option. Still, it is always wise to look out for it. Why? Well, the looping feature means that you don’t have to constantly remember to wipe the memory card yourself. Therefore, you will be able to ensure that all the video that is recorded will be current. This can be a rather difficult question to answer as it all depends on your preferences. As mentioned, if you want to record in the highest quality possible, then you are going to need a memory card that can hold at least 64 GB. Now, you should be aware that some dash cams aren’t compatible with SD cards with higher storage options. They do, however, work well with 32GB cards. Of course, if you want to keep detailed footage over a number of days, then you will find that the smaller memory cards just won’t cut it. You will find that most dash cams will let you ‘lock’ certain segments of footage. This will ensure that this portion of the video will not be written over. What you need to look out for, though, is an automatic feature. The modern dash cameras are equipped with a gyroscope sensor or G-sensor. This takes notice of collisions or sudden stops, ensuring that the video is locked then and there, so it can be viewed later. This is important as in the event of a collision, you may not have the presence of mind to save the important footage. This isn’t something that all car dash cameras have but it is certainly a useful feature. With this, you will not have to remember to turn the camera on and off. Due to this, you won’t have to worry about missing out on capturing important footage, just because the camera was off. At the same time, there is no chance of the camera draining the battery as it will automatically switch off when the car stops. A lot of people don’t pay too much attention to the mounting mechanism of a dash cam but it is important. First and foremost, it should be easy to set up so that you can begin to use your dash camera immediately. It is also helpful if you can quickly remove the dash cam and replace it without too much of hassle. The mount should also be durable and be able to last at least as long as the camera will. This is why it is important to look for those that are made from high-quality materials. Last but not least, the mount should hold the camera steady at all times. This is the only way to make certain that is in a position to capture any important events. Now, you will have a better understanding of all the dash cams you can place in your car. You will find it a great deal easier to make your choice. If you feel like you want to choose your own, make sure it meets all the criteria mentioned here.